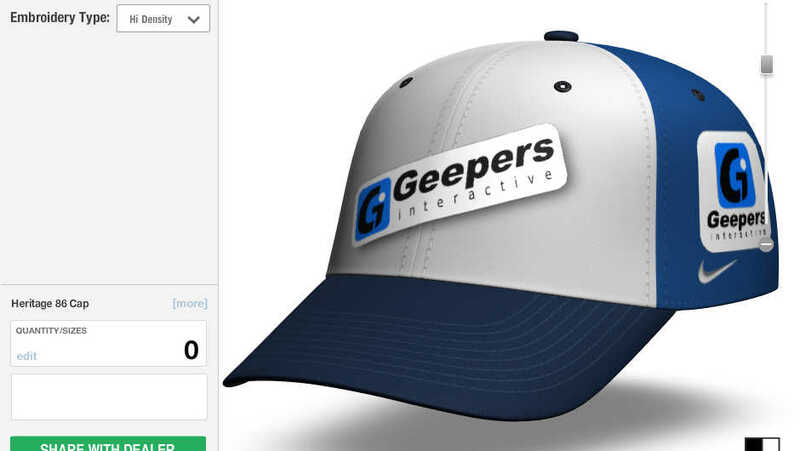 Freelance Interactive Developer Greg Caldwell | Geepers Interactive Ltd.
Postcode information is captured as part of the user registration process which is then converted into geographical longitude and latitude coordinates for representation on the 3D map. 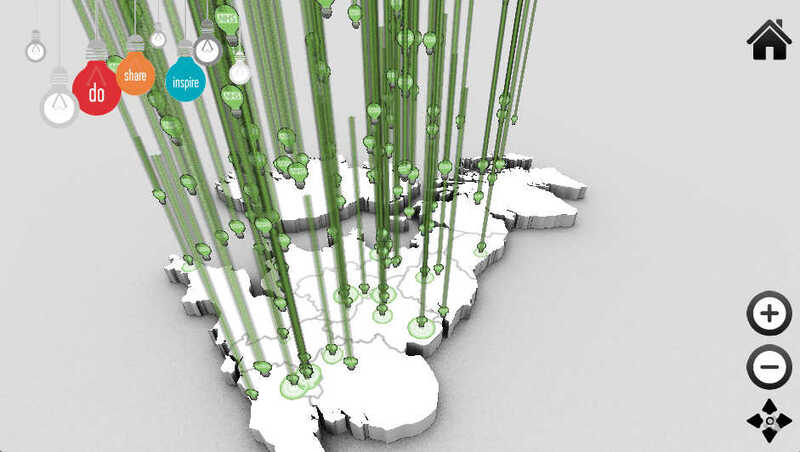 The real-time action information along with the geographical coordinates are retrieved from the server using REST service and the locations represented by green light bulbs land on the country's surface. The UK map model is static a object with textures containg baked shadows and ambient occlusion. The bulbs are simple planes with lightbulb texture with a transparent region around it's edge. 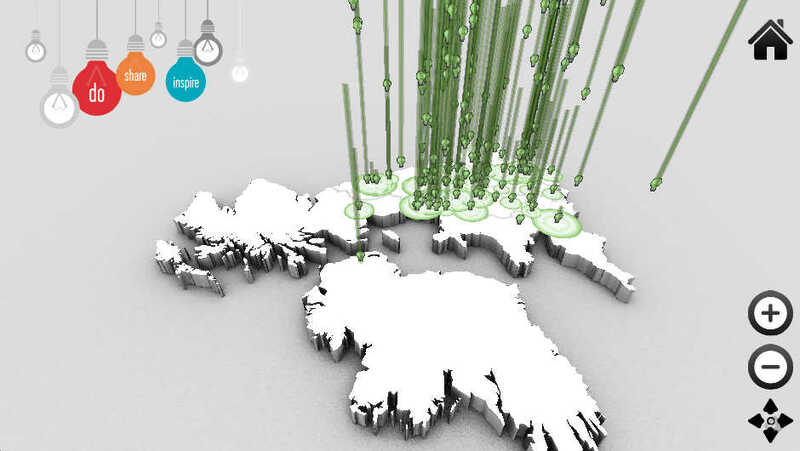 Each individual bulb is created as a particle in the Away3D particle system and has a custom billboarding control to ensure that it faces the camera at all times however remains perpendicular to the surface if the UK map. The bulbs and trails are positioned randomly vertically above a specific height to allow them to fly down to the surface. Once the bulb hits the surface a small 'blast' area expands at the point of contact. 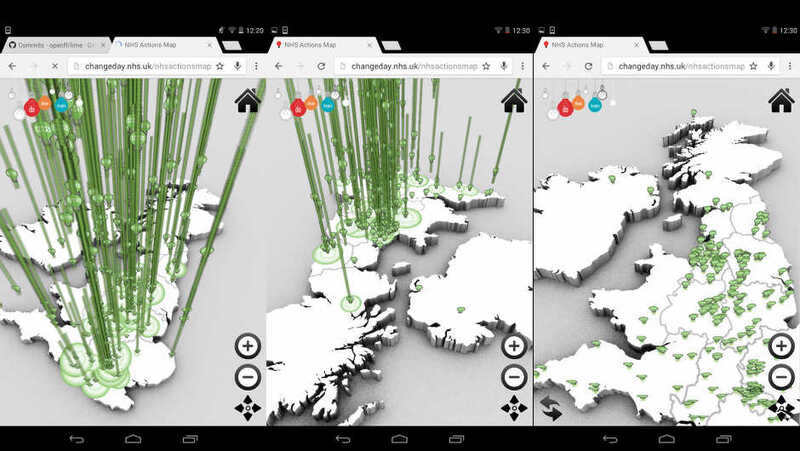 As this applicaiton was to function across both desktop and mobile/tablet devices, OpenFL/Haxe was used to create a Flash Player version for desktop web and a HTML5/WebGL version for mobiles/tablets as Flash is not available for these platforms. 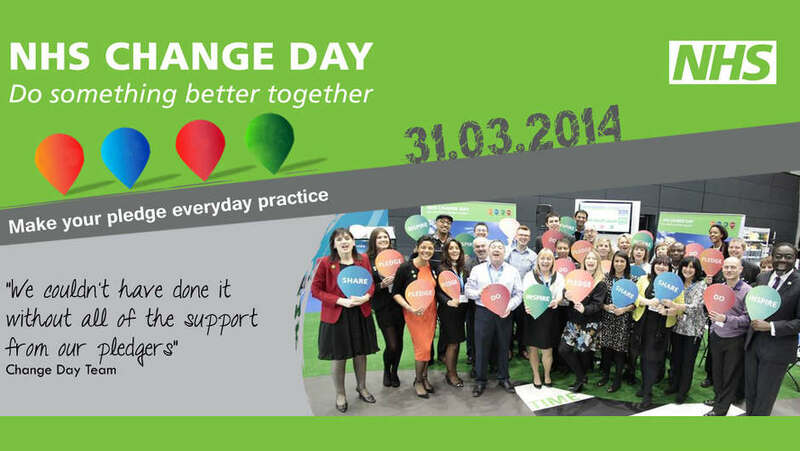 NHS Change Day 2015 is the empowerment of individuals who together take small actions to make a big difference in improving the care and wellbeing of those who use the NHS. 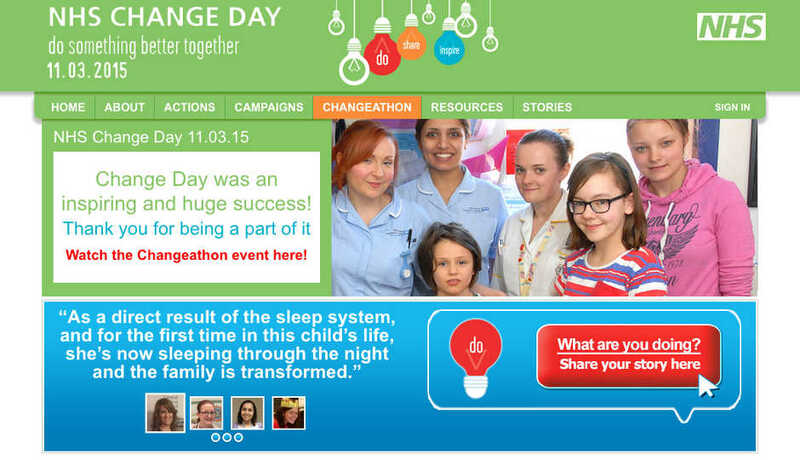 By utilising social media and initiatives including #100daysofchange and a series of campaigns along with personal change stories & actions centralised through the website Change Day 2015 culminated in the Changethon live streaming event day on the 11th March 2015. This year, the website development used Wordpress as a base with build for custom fields, post types, plugins, templates and form management for data acquisition and display. 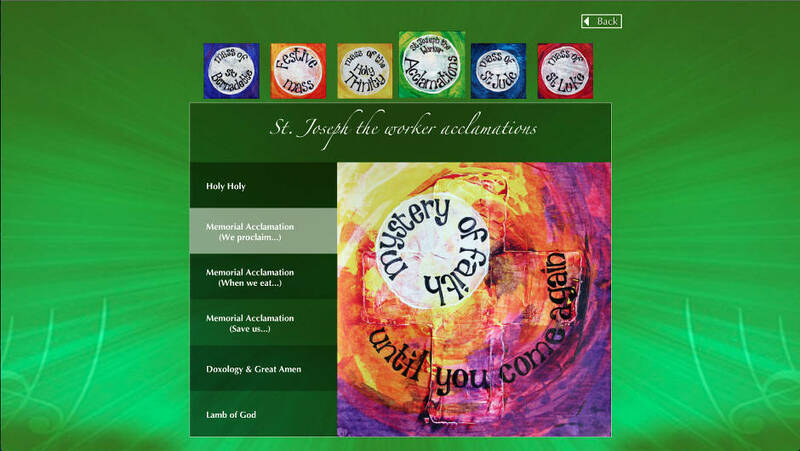 The Change Day 2015 web site has a fully responsive design allowing enhanced experiences across desktops, tablets and mobile devices. Wordpress configuration and development using custom types, templates, custom fields. 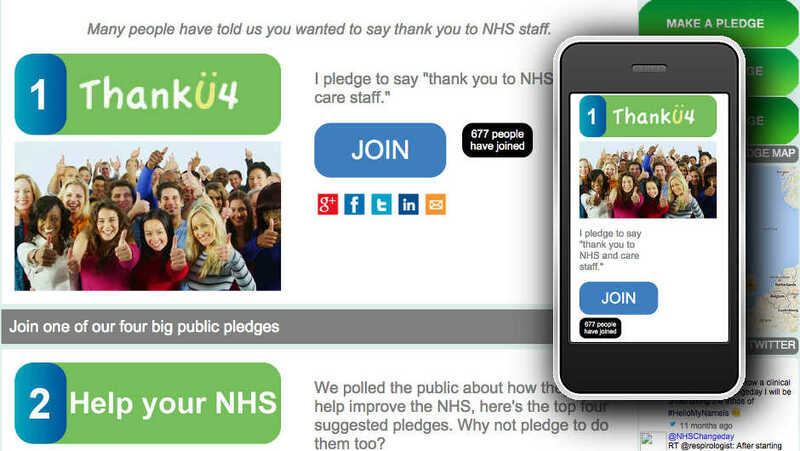 Responsive web design to current standards whilst maintaining backwards compatibility with IE7/8 (standard PC build for the NHS). User registration, session management, Action logging/amending/deleting/publishing. 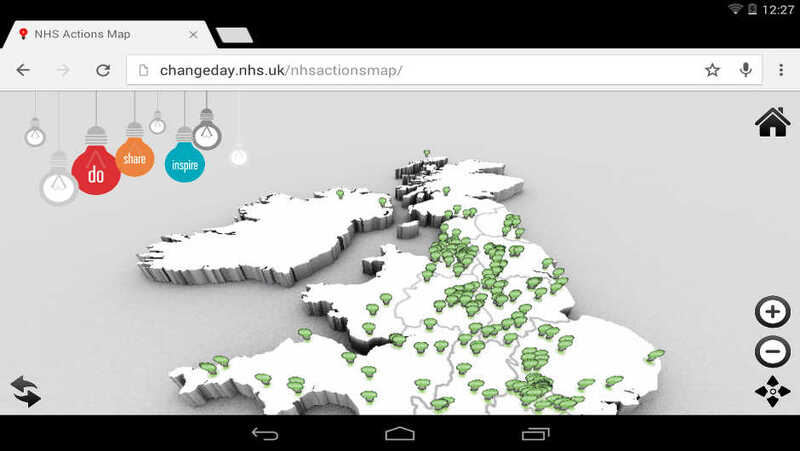 OpenFL based 3D NHS Actions Map. 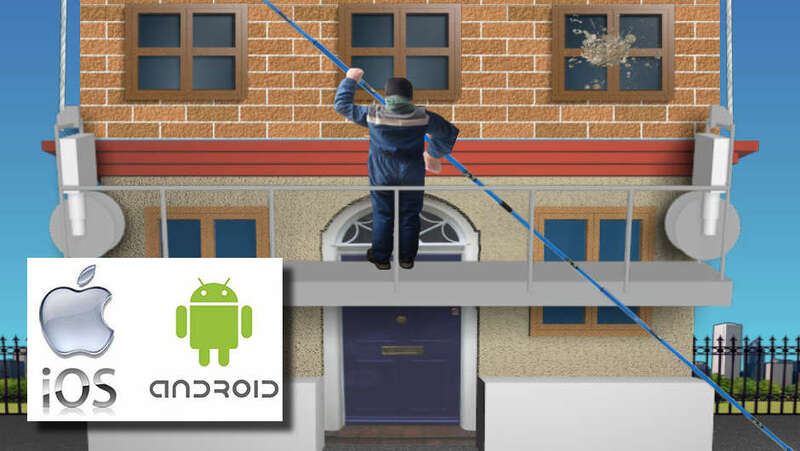 Your job is to clean as many windows as you can on the highest building imaginable, in this frantic and addictive game. It might sound easy but your cleaning gantry just won't stop so you need to be quick off the mark. Don't go cleaning open windows or your clients might not be too happy and broken windows can be dangerous - so keep clear of those. See how good you are at window cleaning and compare with your friends and others on the leader board on Game Centre. 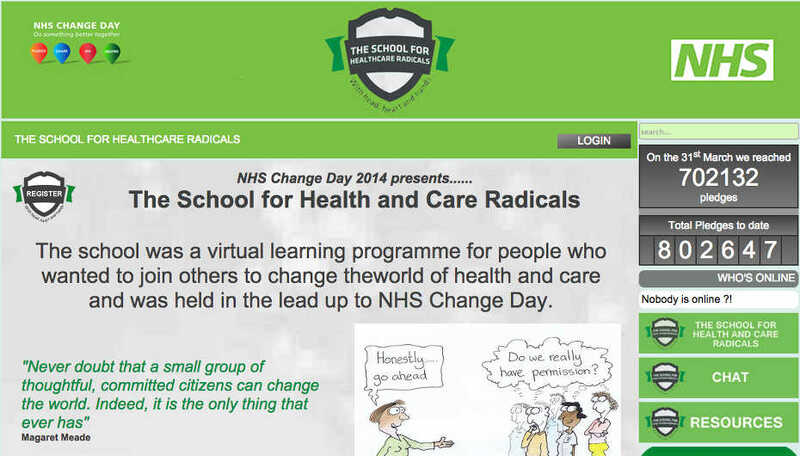 Simply put, NHS Change Day is a grassroots movement that asks anyone who engages with the NHS to make a change for the better, and to then share what they have done to inspire others. NHS Change Day served to harness the passion, drive, commitment and innovation that we see every single day from staff. 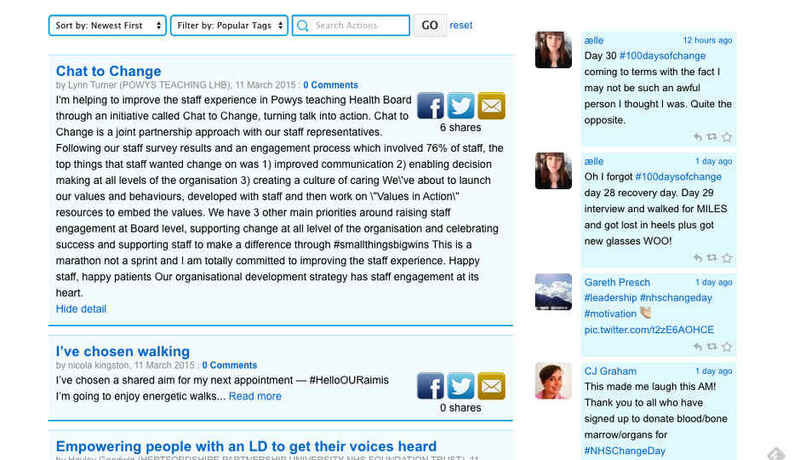 It used the power of shared purpose to give us the boost to challenge the status quo and try something simple but different to improve patient care. 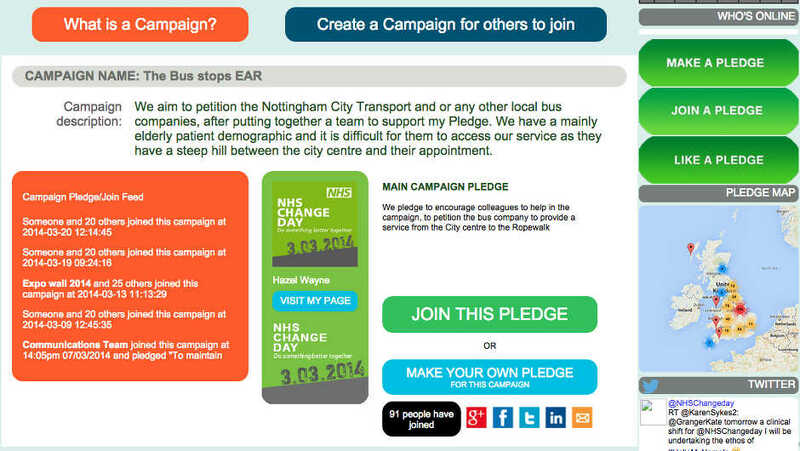 The goal for the second NHS Change Day (2014) was to surpass the previous total pledges of 189,000 and reach 500,000. By the 31st March 2014 a huge total 702,132 of pledges were made, clearly exceeding expectation and went on to reach over 800,000 pledges for 2014. Developed on PHP using MySQL. 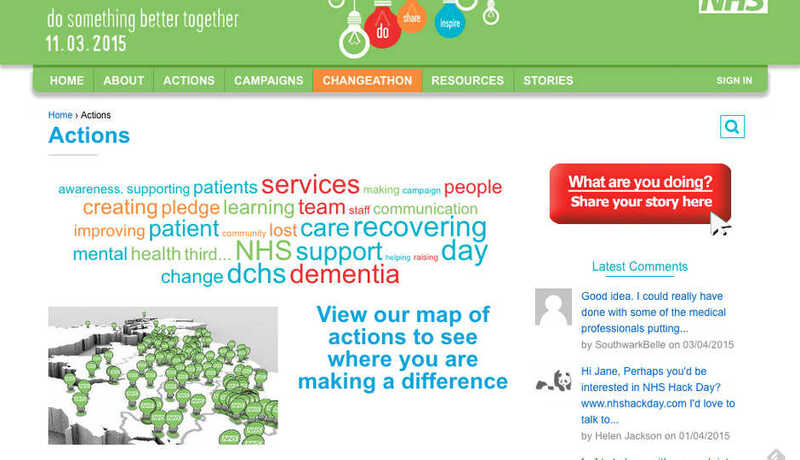 User registration, session management, personalisation, pledge logging/updating/deleting. 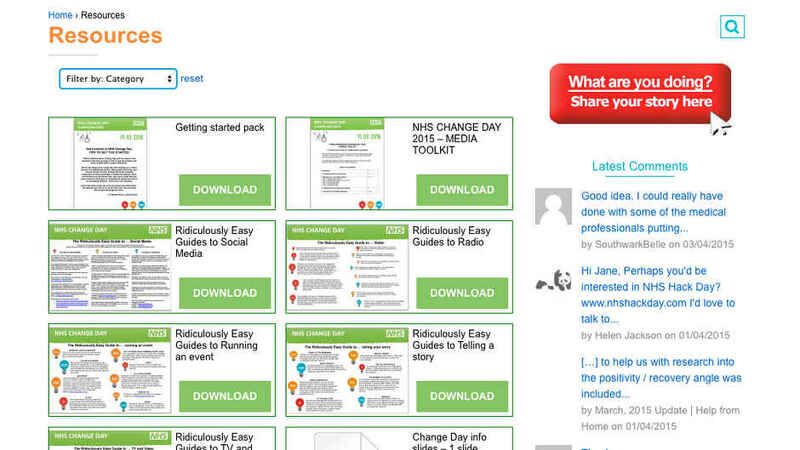 Custom developed CMS for managing content, users and pledges. RENDR is a partner-driven, full-spectrum digital solutions firm, applying its knowledge in both strategy and development to craft potent outcomes to help fulfill the potential behind client goals. 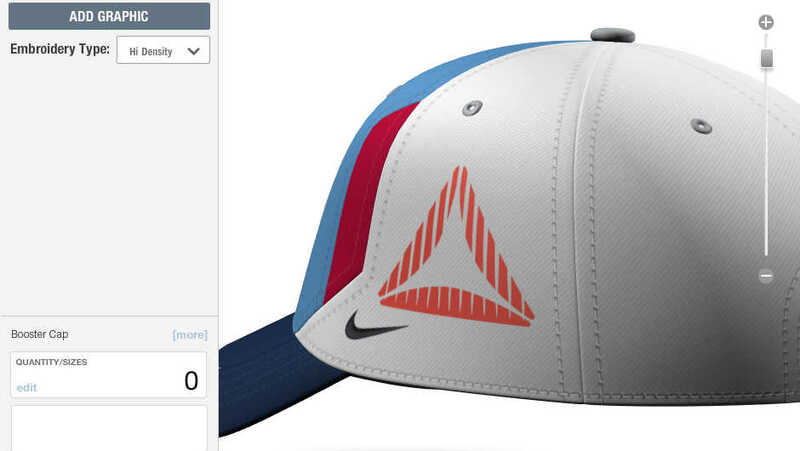 Nike Team Sports, the leader in innovative products that serve the athlete, partnered with Paramount Apparel, a leader in innovative headwear manufacturing since 1929, to provide the most dynamic custom headwear program in the industry. 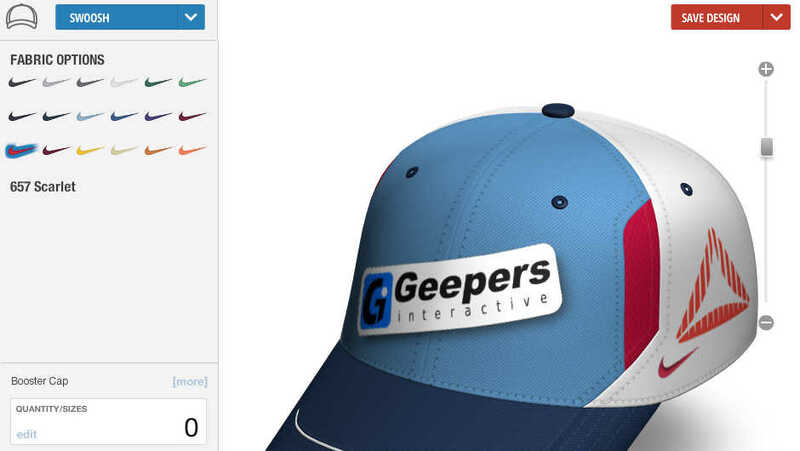 The Nike Team headwear web-based flash application, provides an interactive 3D environment for customisation of the Nike headwear product line. Away Studios through Geepers Interactive Ltd. provided development solutions for texture material management and rendering through custom shaders, refined the workflow for model production and interaction with the 3D models allowing placement, rotation and scaling of logos and name drops. Optimisation of textures to reduce file sizes by taking advantage of repeating patterns. Mouse interaction responding to 'hotspot' areas on the models when logos and name drops can be placed and manipulated directly on the 3D model. 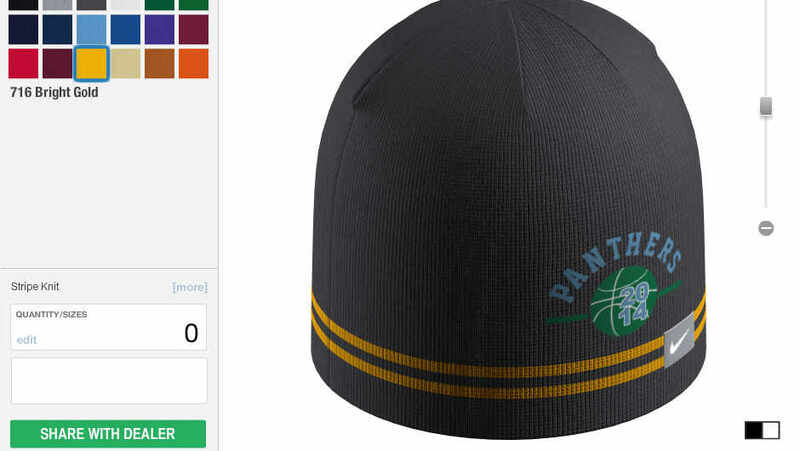 Material/texture memory management allowing materials to be loaded and unloaded as the headwear is customised. 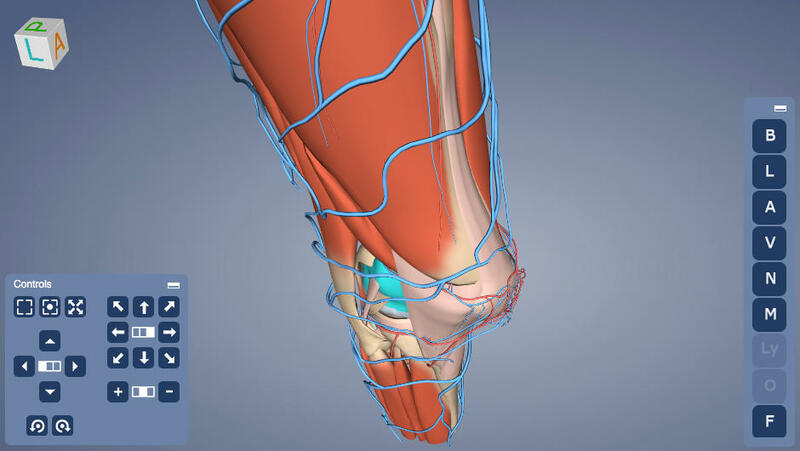 The Anatomy Viewer module for Primal Pictures provides a real time environment to view extremely high-resolution 3D anatomy models. 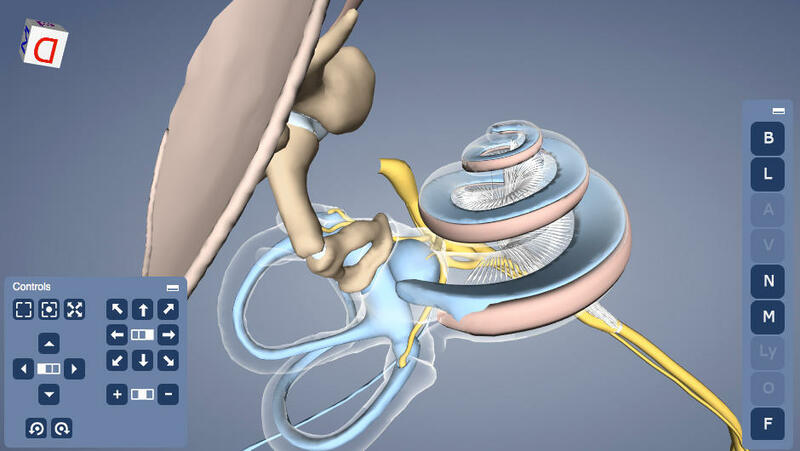 Explore the human body by rotating and zooming in to areas of interest. 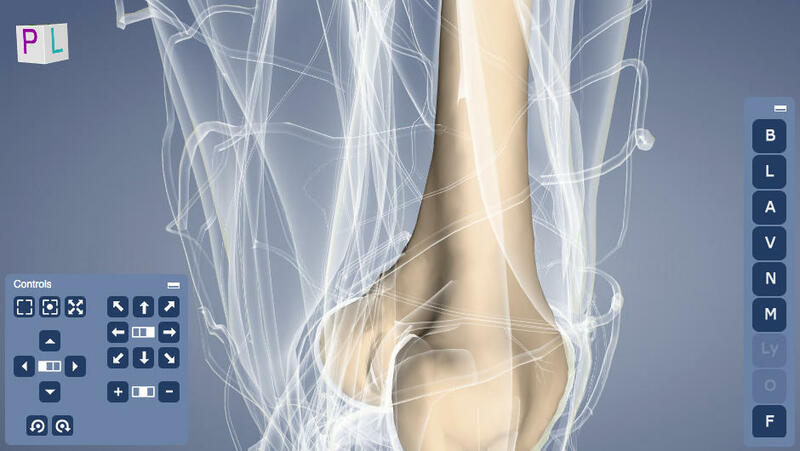 Selectively hide/reveal or make x-ray/opaque any of the anatomical structures or even whole groups such as muscles, vessel systems, organ systems, etc. 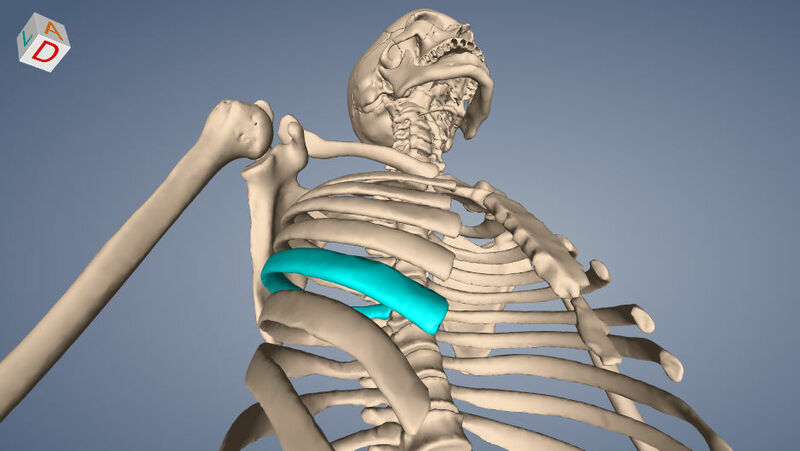 Highlight any items in-situ or isolate them in context to the rest of the structures. Away Studios employing Greg Caldwell of Geepers Interactive Ltd as the sole developer, provided 3D development expertise and workflow advice on the project, and delivered multiple integration points to give the option for the module to be used as part of an AIR application or from within a web page. The real-time graphics take advantage of the latest Stage3D GPU accelerated APIs of the Flash Player, accessed through the Away3D library. 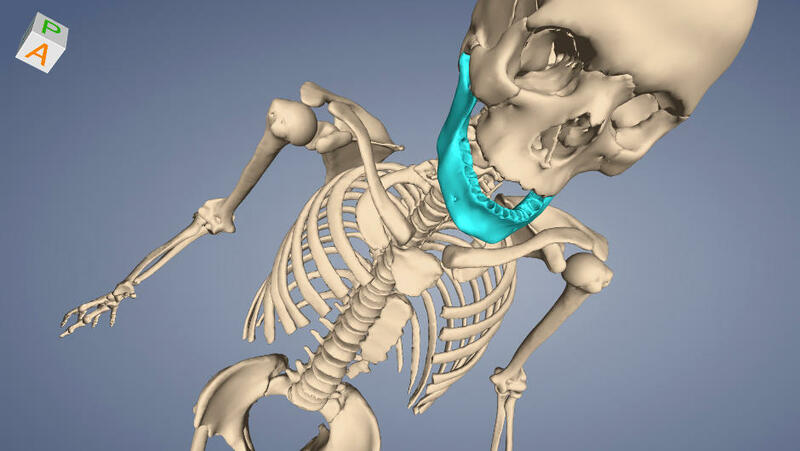 Extensive API to define & represent anatomical model data, interact with and respond to user events. Custom control over rendering properties. Embedded user interface for model navigation and interaction. Global system visibility panel – show & hide structural groups. Customs GPU shaders for model representation. 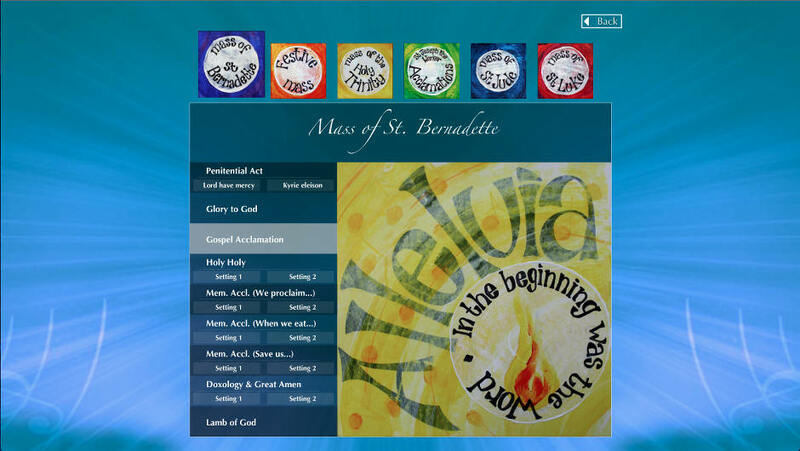 View, hear and print the music for each mass part. Attractive and easy to navigate user interface. 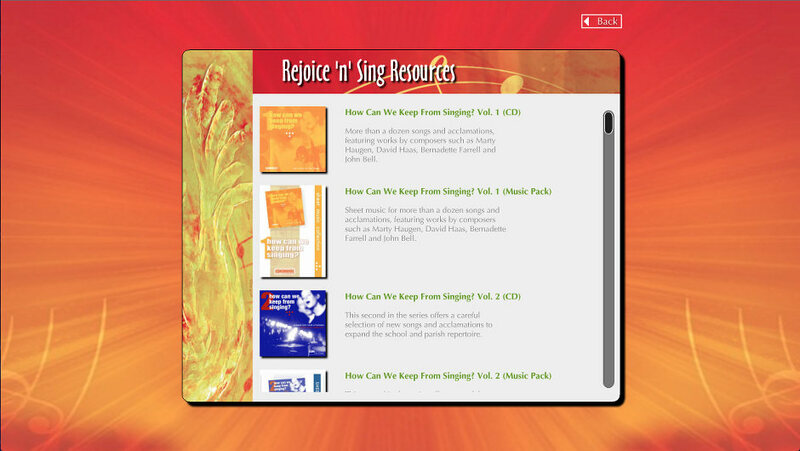 Recommended websites and additional on-line resources. 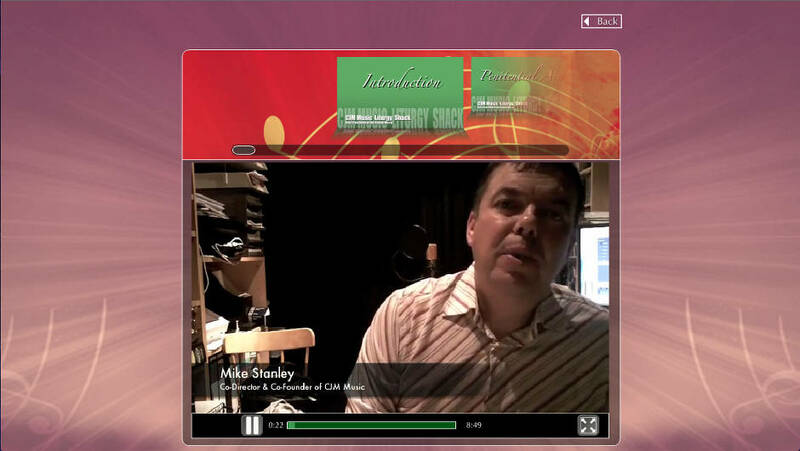 Integrated audio and video player. 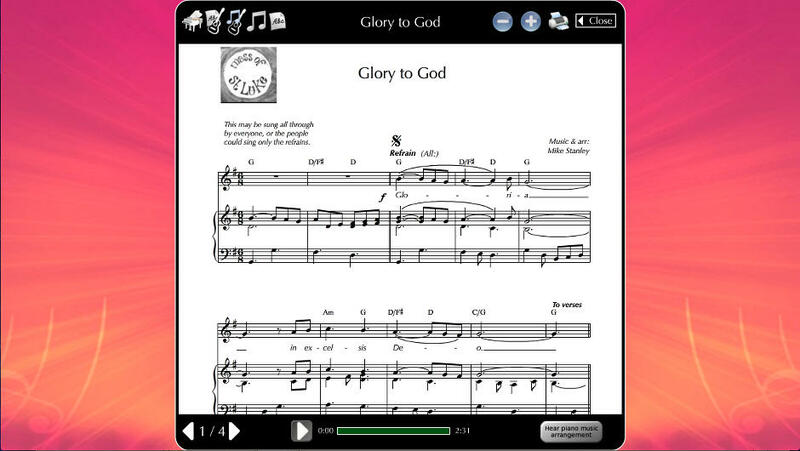 Full score, melody line and guitar chord viewer. 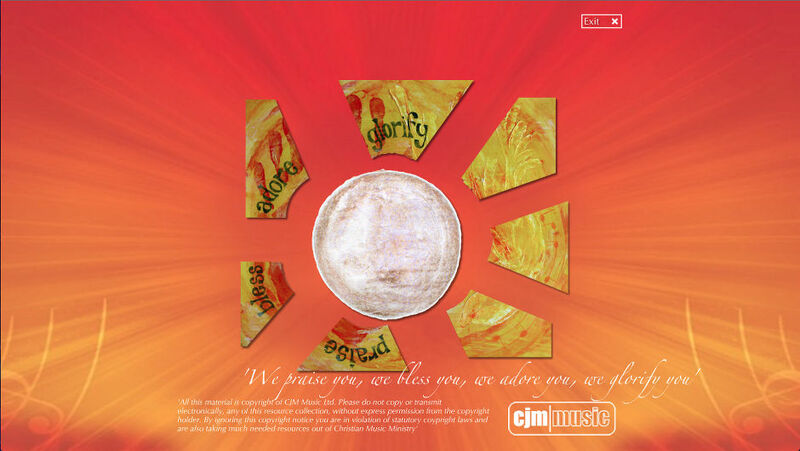 Compatible with PC: Windows XP and above, Mac OS X 10.6 or greater. 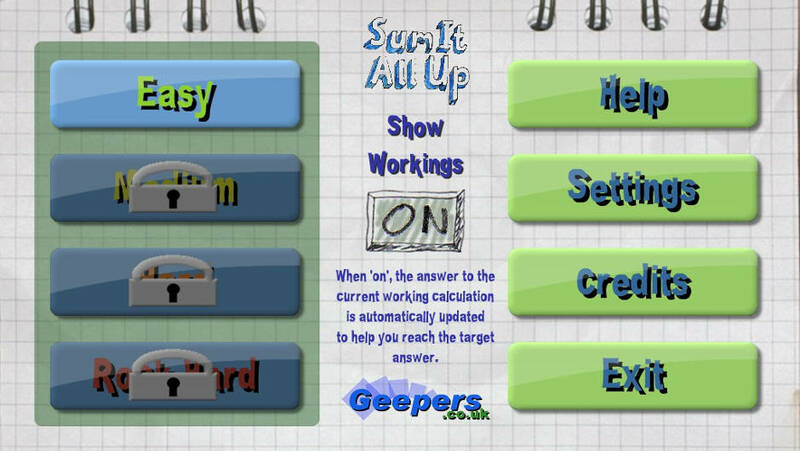 Sum It All Up, available for the iPhone (3GS and higher), iPod Touch (3rd gen and higher), iPad, Blackberry Playbook™ and Android devices, is a simple but addictive maths game where you are given the answer to a calculation and by using all the provided numbers in combination with any of the mathematic operations (add, subtract, multiply and divide) you need to get to that answer. Two main modes of operation – with workings out shown and without – without is a lot harder. Four levels of difficulty in each mode – Easy, Medium, Hard, Rock Hard. 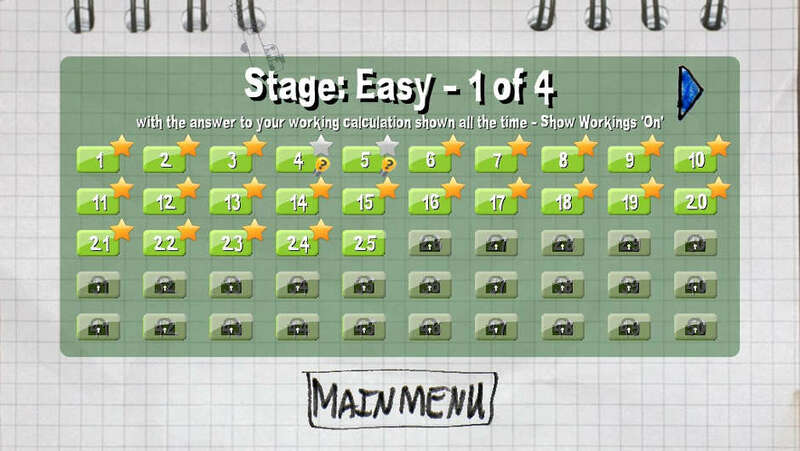 Four stages to each level – also increasing in difficulty. 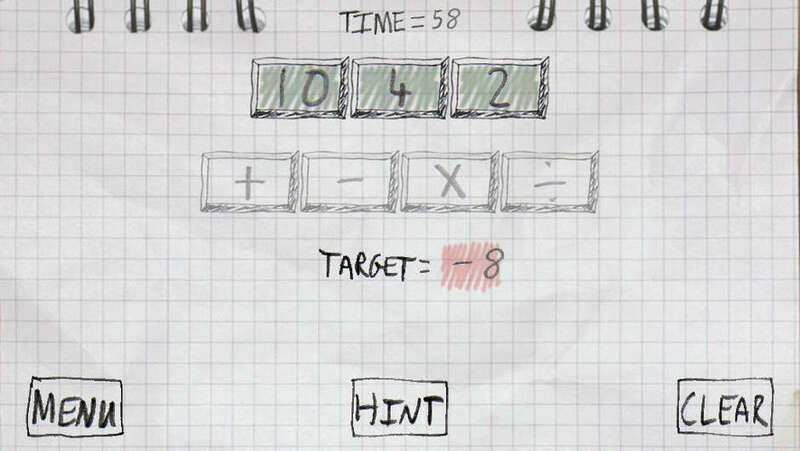 Fifty problems to solve in each level – so there is lot to keep you occupied. Greg Caldwell is the director and head developer at Geepers Interactive Ltd. specializing in providing software development and consultation services for producing rich interactive 3D experiences on the web and mobile platforms including iOS, Android and Blackberry Playbook. 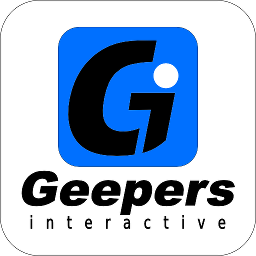 Geepers Interactive was formed in November 2012 and has been involved in a number of exciting projects which can be seen in the portfolio section of the web site. Greg Caldwell is a core team member of the open source 3D Flash/Actionscript library Away3D which now supports Typescript and WebGL for interactive 3D in the browser without using a Flash plugin. Greg also provides services through Away Studios. Greg Caldwell is an experienced software engineer and has worked with numerous technologies across a broad range of industries including banking services, scientific research as part of the human genome mapping project and development and configuration of industrial control systems (PLC/DCS/SCADA) for waste and water treatment. 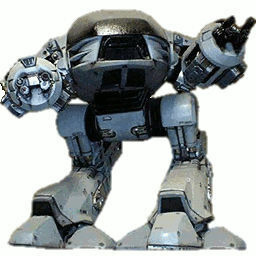 The personal blog for Greg Caldwell (Greg209) is at www.geepers.co.uk where you can find a selection of experimental projects, tutorials and all things Away3D related. You may even find a few hardware projects or other random snippets on there. Check it out .... you never know what you might find. 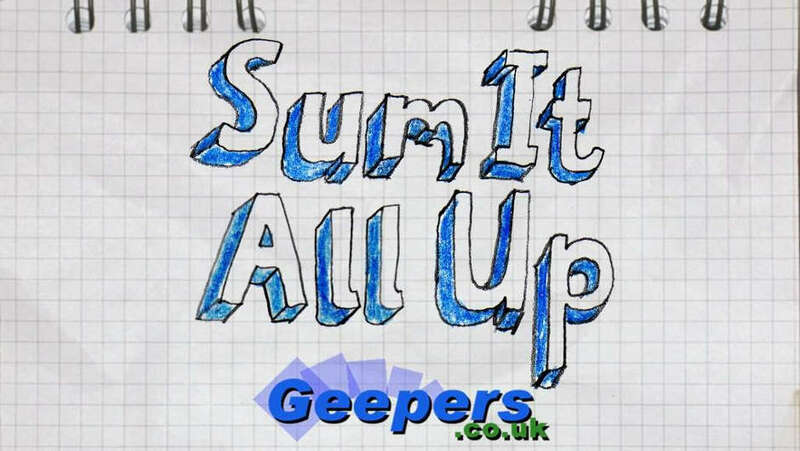 © Copyright Geepers Interactive Ltd. 2014. 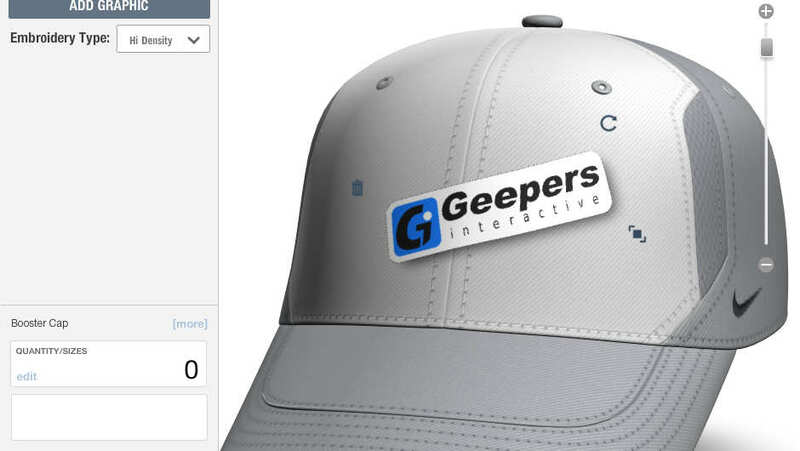 Web-site designed and developed by Greg Caldwell - Geepers Intereactive Ltd.